I am approached on a regular basis by potential purchasers, both first time buyers and existing practice owners, who have heard that it is still difficult to secure the necessary funding to purchase a private practice. There really is a sizable difference between market perception and market reality as I recently commented in my Market Update on the NASDAL Survey blog. Contrary to popular belief, the banks are actively lending to the dental profession and are perfectly happy lending on private practice purchases. In the past 12 months alone, FT&A Finance submitted over 246 individual dental lending proposals to the banks with overall combined borrowing of £140m – over half of which related to practices with predominantly private income. Of these cases, over 94% of them were approved by at least one of the banks. These statistics clearly show the banks ARE lending for practice purchases. The UK banks have an active edict from the Government to lend and view the dental industry as one of very few ‘Green Light’ sectors. Indeed there are now 14 high street banks (together with numerous other smaller ‘niche’ lenders) that understand and will lend against dental goodwill for a new practice purchase be it leasehold or freehold. However, no one bank is the same. Each has different credit criteria and their own preference as to the type of client and practice they wish to fund. And, even within individual banks you need to make sure you have the ‘right’ manager considering your application, as not all managers will understand the dental profession and as a result may provide a negative response. 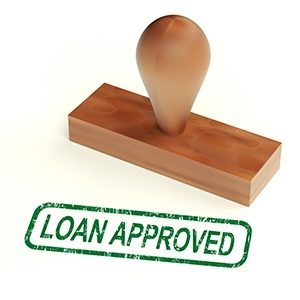 Even if the bank in question says ‘no’ it does not necessarily mean there is anything wrong with your proposal – it may simply mean your proposal does not fit their lending guidelines – and remember there are still at least 13 other banks who could still say ‘yes’. Furthermore, if you own a practice already and wish to purchase another you may also get a negative response from your current lender – or indeed they may look to ‘re-price’ your whole borrowing. Again, there may be nothing wrong with your proposal and there still remain 13 other banking options open to you. This does however highlight the importance of working with an independent adviser when looking to arrange funding for a practice purchase. Your adviser should have access to the whole of the market and know the lending criteria of each individual bank and indeed the best individual bank managers to approach. They’ll be able to tailor your application to ensure you have the best chance of obtaining a positive lending decision, often at much better terms compared to you approaching the bank direct. This is a fantastic example of how working with the right, proactive business adviser who understands exactly what the banks are looking for and can tailor the proposal accordingly can really make all the difference. So before you speak with your bank make contact with a specialist dental adviser who can undertake an assessment of your proposal, provide guidance as to how to best shape your application and give you an idea of the pricing involved. Remember the banks will look to maximise THEIR returns (i.e. charge as high as they feel they can get away with). However by using an independent adviser they will need to offer the most attractive terms if they are to secure your business due to the element of competition involved – coupled with the fact the adviser will of course package the case in a way which would make it much easier for the bank to say ‘yes’.